It is truly a mystery why the music of Filippenko has not taken its place along side of that of Shostakovich and Prokoviev. The only explanation we can think of is the internal politics of the former Soviet Union which not only ruined the careers of many artists but also rarely championed non-ethnic Russians. Ukrainian artists in particular were adversely affected by this bias. Arkady Filippenko was born in the small village of Pushcha-Vodycia now a suburb of Kyiv (Kiev). As a pre-schooler, he spent a great deal of time outdoors with his grandfather, a shepherd who played and made pastoral pipes akin to those of the Swiss. The shepherd's pipe was the first instrument he learned to play. Later in grammar school, he learned the guitar, mandolin and balalaika and took part in the school orchestra. In 1926 at the age of 13, Filippenko began vocational school and completed a course in river transport. After graduation he began working at a shipbuilding factory. In his spare time, he played and directed amateur theatricals and came to the attention of the composer Ilya Vilensky who was director of a local music school. Vilensky invited Filippenko to attend the his school, and it was there Filippenko learned to play the piano, studied music theory and composition, all while still working as a metal turner at the shipbuilding factory. As he progressed quickly, Vilensky sent him on to the Lysenko Music Institute, the most important music school in the Ukraine and the forerunner of the Kyiv Conservatory. Filippenko began as a night student but eventually obtained permission study full-time. His main teachers were Lev Revutsky, Victor Kosenko and Boris Liatoshinsky. After graduating from the Institute in 1939, he was immediately drafted into the Red Army where he was fortunate enough to remain in a military orchestra throughout the Second World War. After the war, Filippenko returned to Kyiv where he pursued a career as a composer, winning the State Prize of the USSR in 1948 for his Second String Quartet which evoked the struggles of the Soviet peoples during the war. 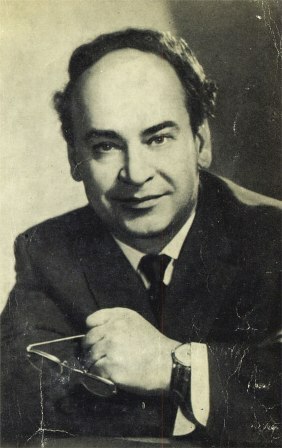 Filppenko was one of the organizers of the Ukrainian Composers Union and in the mid 1950's served as its executive secretary and vice-president. He wrote for nearly every genre. Besides his string quartets, he left six other chamber music works, some symphonies, an opera, and more than 500 songs. He was perhaps best known in the Soviet Union as a composer for the cinema. Filippenko's first string quartet dates from the early 1940's. In three movements, the main theme to the opening Allegro moderato, begins after a short, questioning introduction. It is full of élan and characterized by great forward motion. It leads directly to a second and more lyrical theme, which in turn is followed directly by an exciting third subject. Only then does development begin. The second movement, Moderato e cantabile, begins with the viola singing a sad, haunting melody over the muted tremolo of the violins. Each voice slowly makes its entrance before the lovely second theme, inspired no doubt by Borodin, begins. Slowly, tension is raised and builds to a suspenseful climax. The massive finale, Allegro agitato, opens with a heavily accented and hectic main theme that conveys a sense of urgency while the the lovely second theme is given out by the cello over the rhythmic accompaniment of the lower voices. This in turn leads to heroic and colossal coda. Professional groups who offer this fine quartet will certainly be hailed for introducing a superb masterpiece. Yet, the technical demands are well within the range and ability of sound amateur players. This quartet has been carefully edited and corrected by Skyler Silvertrust from a copy of the original score located in Lviv (Lvov), Ukraine. Like all of our works, it is printed on top grade paper with an ornate cover and biographical information about the composer.